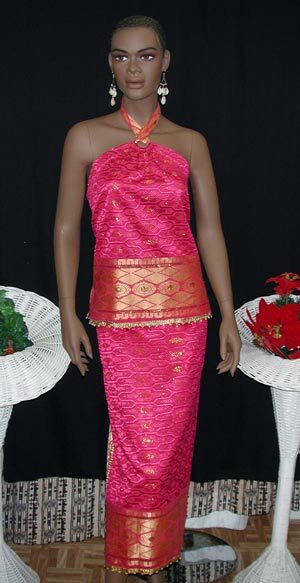 Elegant fusha silk brocade dress. This 2 piece dress include off-shoulder top with necktie for easier fit and a long fitted elastic waist skirt with side or back split. Perfect for Bride, Bridesmaid and all formal occasions. (Available in all colors and sizes). Measurement required for best fittings.